I wasn't originally going to go for this colour, but a friend of mine picked this out for me, I instantly loved it! I bought this from the airport costing £20, it might seem expensive, but this is a high quality lipstick after all. Quality is actually the best word to describe ysl lipsticks because not only is the packaging amazing, but they are the most long lasting lipsticks I've ever tried! The lipsticks also glide on nicely, no "cakeyness" or "overshineyness" - I think I just failed at English. lol.. So yes I recommend this brand for lipsticks, it defo beats brands like MAC in my eyes, because of the longevity, and these lipsticks are slightly moisturizing! Wow, the colour of this really pops! Be great to see a pic with you wear it! is this full coverage or quite sheer? the colour is looovely! 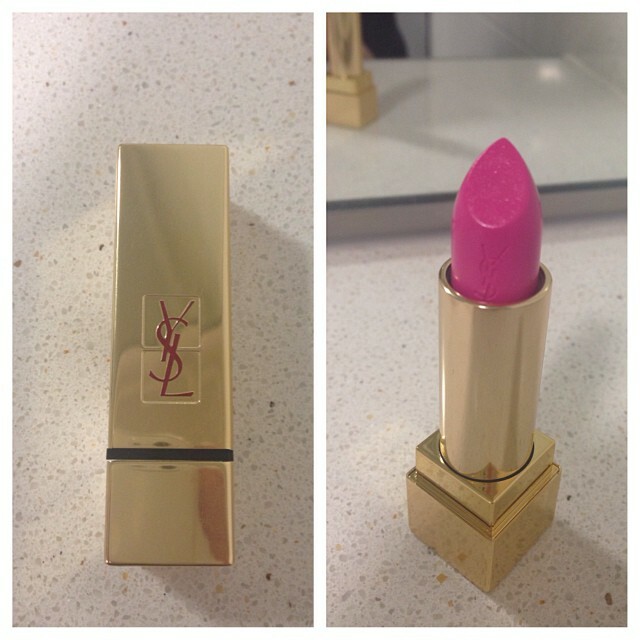 the YSL packaging is so glam!